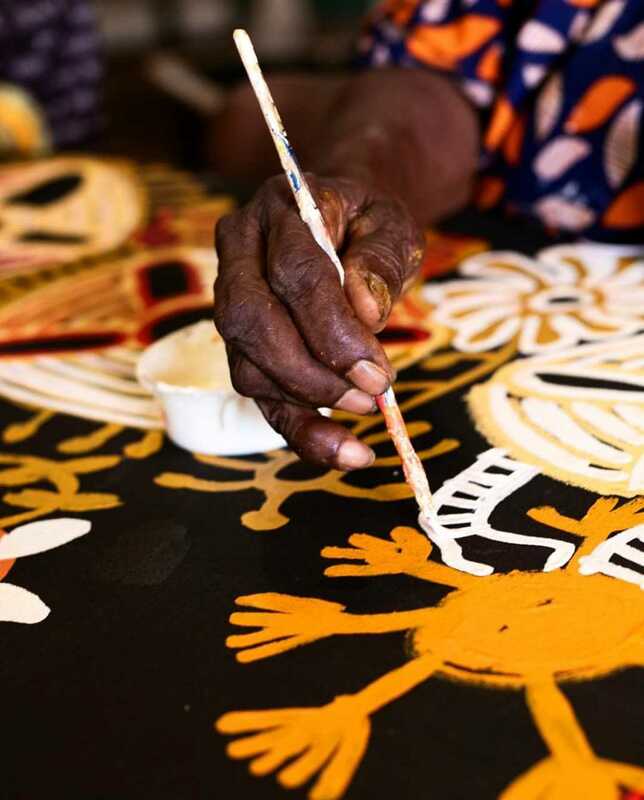 Papunya Tjupi Arts is a 100% Aboriginal owned and directed community arts organisation based in Papunya, 250km NW of Alice Springs, the birthplace of the Western Desert dot-painting movement. It supports a new generation of artists establishing their own unique identity based on the legacy of their forefathers. The art centre services around 100 artists from Papunya and surrounding outstations. They have become known for their strong line-work and for developing new ways to tell the old stories. YAAMA GANU GALLERY PRESENTS A SMALL COLLECTION OF WORKS FROM THE PAPUNYA TJUPI ARTISTS - PAPUNYA NT. PLEASE CONTACT THE GALLERY FOR ASSISTANCE.